1)First of all, if you need to change a skin, I don't recommend you taking the drum completely apart BECAUSE THIS IS A FLOATING SNARE AND THIS DRUM WILL FALL COMPLETELY APART. 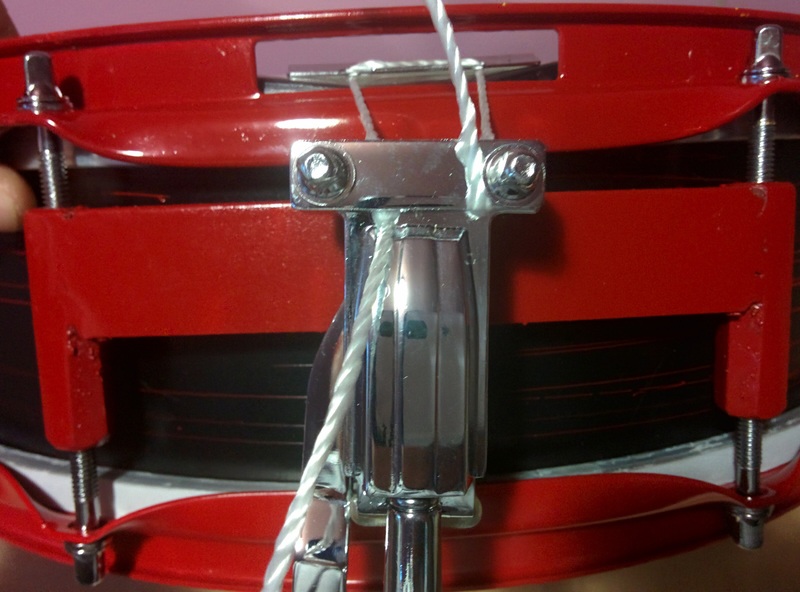 To replace the batter head (top) lay the BOTTOM of the drum on a flat surface with a towel under for protection and remove only the top tension rods using a 1/2" wrench and drum key.. Remove the top hoop or rim and replace skin. While you are doing this avoid moving the bottom because you want to preserve the snare bed/ snare wire positions. You want to the snare bed to always remain in line with the wire snares. Put the tension rods back and retighten them using a 1/2" wrench and drum key. 2)If you need to change the resonant skin (bottom), I don't recommend you taking the drum completely apart BECAUSE THIS IS A FLOATING SNARE AND THIS DRUM WILL FALL COMPLETELY APART. 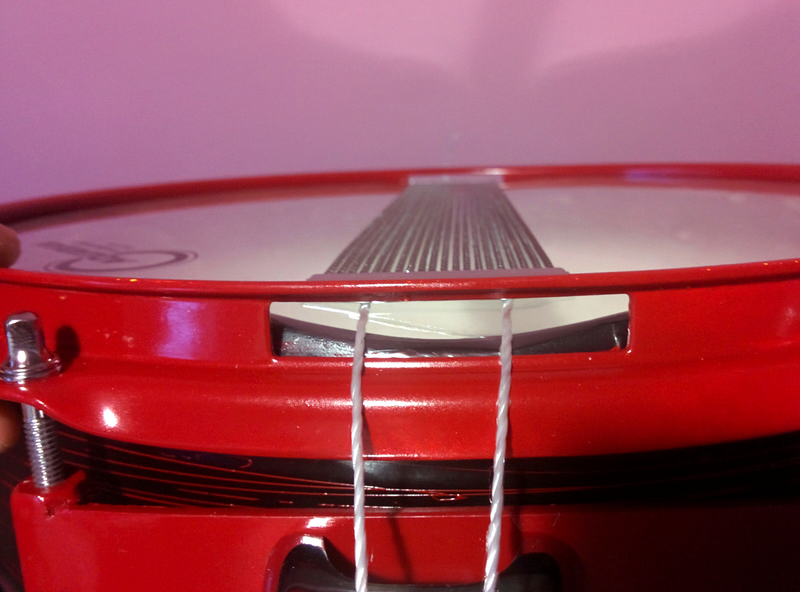 To replace the resonant head lay the TOP of the drum on a flat surface with a towel under for protection and remove only the BOTTOM tension rods using a 1/2" wrench and drum key.. Remove the bottom hoop or rim. 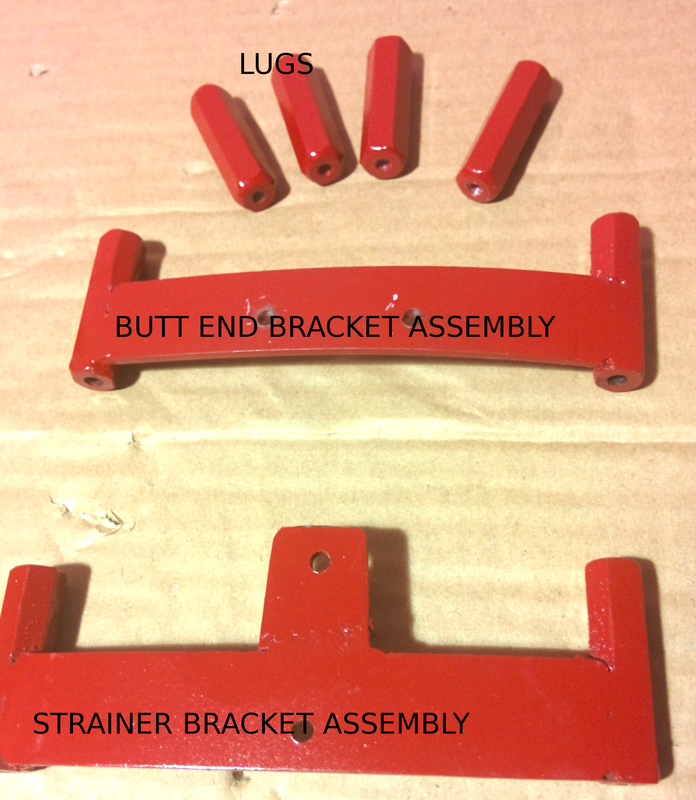 You will also need to remove at least the strings from the strainer end. Then lift strainer away and remove and replace skin. While you are doing this avoid moving the top of the drum. 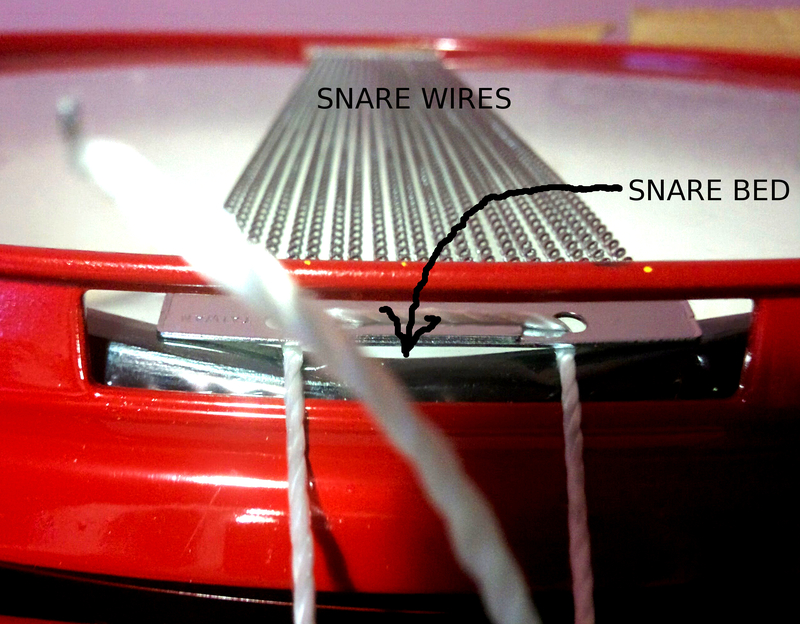 You want the snare BED to always remain in line with the wire snares. Put the tension rods back and retighten them using a 1/2" wrench and drum key. 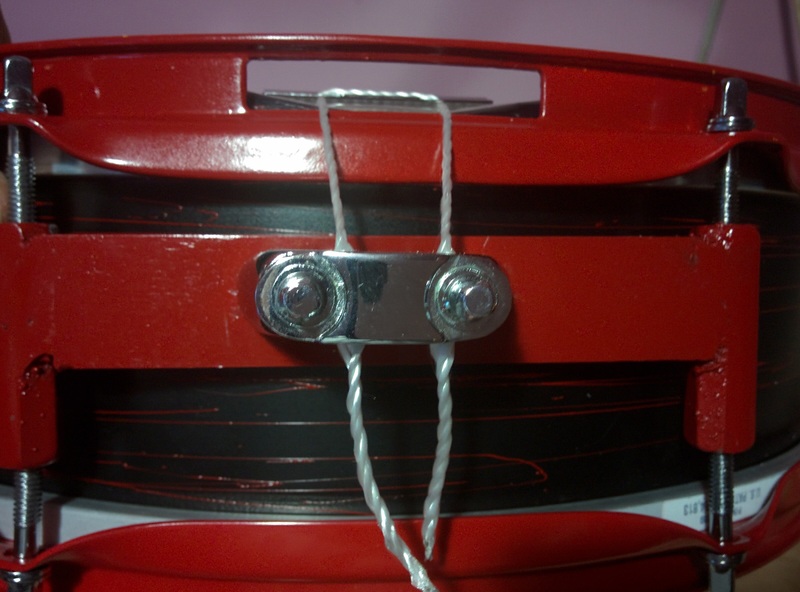 THEN , with the strainer loose as possible , reinsert the string and tighten the 2 bolts. Then adjust the strainer TENSION for the sound you like.